To achieve a beautiful journey through time, a historical immersion in Vienna, Prague and Budapest is highly recommended. The tour of these three Central European jewels enables to travel through time in a few days only from medieval period to Art Nouveau, by going through the baroque era. The variety of architectural styles enables you to apprehend the rich History of these three cities, which were the masterpieces of the Austro-Hungarian Empire. Vienna was the capital and you can still feel the political, economical and cultural buzz which breathed life into this beautiful city. In this respect, one will appreciate the absolute baroque style of the Schönbrunn castle – which apparently doesn’t emanate such good vibes, since the legend says that Sissi was bored to death in that place and l’Aiglon – that little boy who was Napoleon’s son – died there alone, with a presently stuffed bird as only friend (so much fun!). More than the castle itself, the Gloriette – a sort of belvedere above the gardens – is a must which is worth the visit, its atmosphere is unique, so is its sight of the city. Also, one will enjoy the Secession Palace devoted to Art Nouveau, both graphical and dreamlike at once. 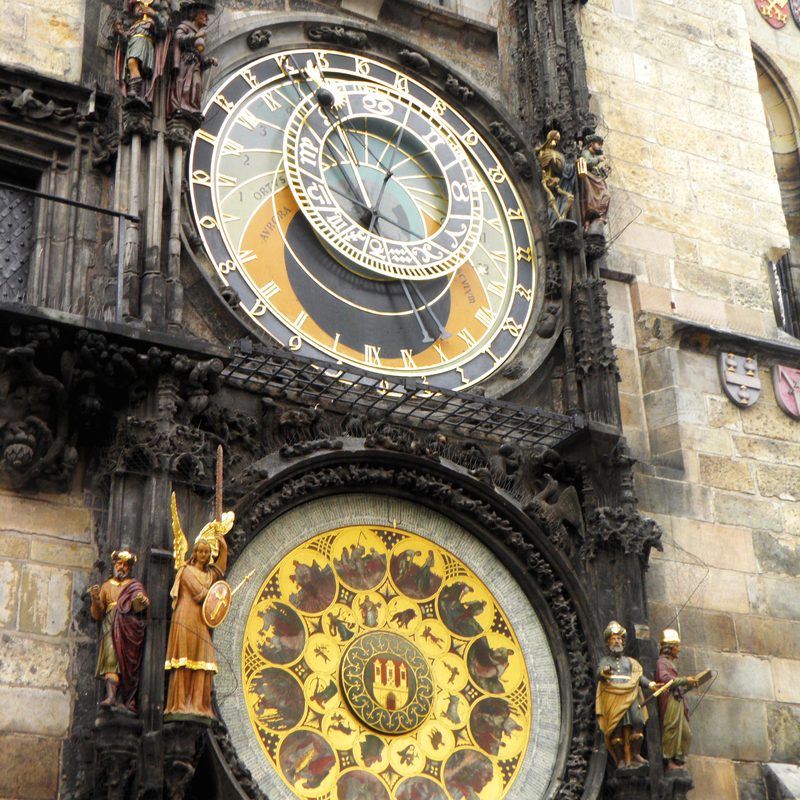 The beautiful medieval astronomical clock of Prague is such a piece of art that the legend says its clockmaker had his eyes gouged out in order to prevent him from recreating a similar one. Finally, one understands why Budapest was baptized the Pearl of the Danube River, with its perched city and its Buda castle. And everywhere in these three cities, bright colors on the buildings, cultural nuggets, theaters and opera houses. If by any chance, you take the train to travel between these three cousins, you will enjoy the pleasure of an authentic dining car, with a white tablecloth and freshly made meals. And then, finally, you will have fully escaped.